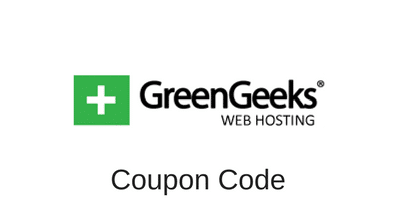 Our special GreenGeeks coupon code allows you to receive a 60% discount on the price of your hosting plan at checkout. This GreenGeeks promo code works on GreenGeeks.ca. GreenGeeks’ hosting plan starts for as low as $3,95 a month when using this promotional code that makes you save an 60% on the price of your first bill. On the next page, locate the GreenGeeks “Coupon Code” field, where you can enter your coupon code by typing ‘Ctrl+v” on your keyboard, or by selecting “Paste” by right-clicking on your mouse. GreenGeeks is one of the leading green shared hosting company in North America. While it started in the USA, GreenGeeks soon expanded in Canada, and now has hosting servers in Toronto. In addition to the Free domain name, GreenGeeks customers can also benefit from unlimited web space, bandwidth (data transfer), e-mail accounts and MySQL databases, just to name a few features. To learn more about GreenGeeks’ hosting plan, please read our GreenGeeks.ca Review. This entry was posted in Coupons on August 23, 2012 by WHR.